A new room board to share with you. Can we talk about how much I love black and white bedding? Well I do. Note - To respect the client that paid for the room board, I won't be sharing a full source list. But if you have a question about an item, send me an e-mail. Thanks! Gorgeous, that lamp is amazing. Love, love, love! 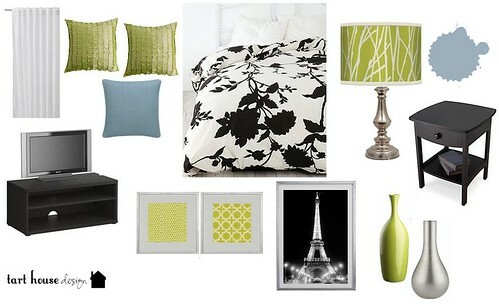 I have already purchased the bedding and I will be going to Ikea this weekend!